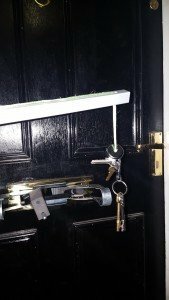 When searching for ‘locksmith Leith’ on your computer, Alcatraz – Edinburgh locksmiths is a company you should consider. We have been serving the people of Leith for years now, sometime on a daily basis. sometimes it feels like we’re never away from the place! Areas such as Easter road, Restalrig and the good old Leith walk. Not that we are complaining, we always find the people there to be charming – although you do get the occasional character! We are a genuine local company who is located about a 15 minutes from Leith. Our main focus is customer service and value for money. We are not like these national companies who take your call from hundreds of miles away and charge huge prices. We are a local firm with hardly any overheads so we can keep our prices very low. The irony is these national companies use local locksmiths to do the job. Then pay the Locksmith 40% of what they have charged the customer: sometimes hundreds of pounds! We provide a comprehensive service to households and businesses throughout Edinburgh and the Lothian’s. Some of these services include: helping people get back in after being locked out, changing locks, installing new locks and repairing UPVC doors. We are fully trained and insured for your peace of mind. we keep up to date with the latest products and locksmith topics to enhance our skill set. This in turn creates a better service for the customer. We provide a speedy 24 hour locksmith Leith service no matter what the time of day or night. As stated above we can be at most parts of Leith in 15 minutes. The only thing that can delay us getting to you prompt is traffic. Therefore if you are locked out don’t hesitate to give us a call, even if its 4am. we can get you back in the comfort of your home faster than you would believe. We are well versed in the art of non destructive entry. This means more often than not we are able to open a locked door without the use of a drill, or the thief’s best friend: the crowbar! For example if we go out to a Yale lock we will try slipping the lock open with a price of mica card. If this doesn’t work we will try picking the lock open: either by hand or by using a pick gun. 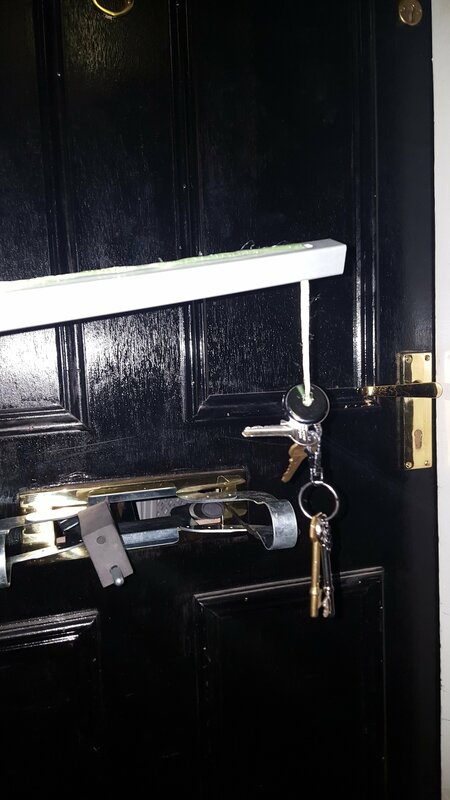 If the above 2 methods fail we can put a special tool and a mirror through the letter box and open the lock from the outside. So as you can see from the above example we have many ways to open a lock before having to destroy it. Opening locks this way saves the customer money on new locks. It also saves us time on drilling out locks and fitting new ones. Due to the sheer magnitude of shops in Leith we feel our commercial lock experience and our emergency locksmith leith service could benefit local shop owners. Some of these locks for aluminium and glass doors can be extremely hard to source. However our vehicles are stocked with almost every lock a commercial property could need. From bullet locks and shutter locks to padlocks and codelocks – we stock the lot! If for some strange reason we did not have the particular lock your business required, we have an account with nearly every major lock supplier in Britain. Therefore, in the worst case scenario we could have your lock delivered the next again day and fitted immediately upon arrival. However, we would not leave you high and dry without a locking door during this delivery period. We have in stock a large range of temporary overnight locks which fit almost any UPVC and aluminium doors. 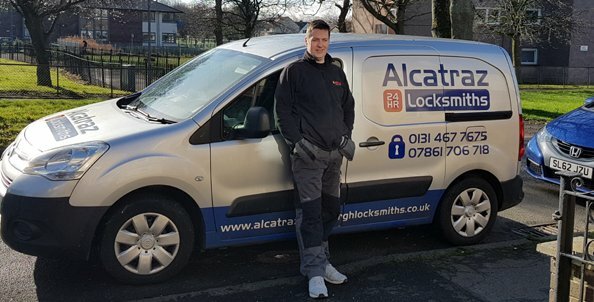 We at Alcatraz – Edinburgh Locksmiths realise that times are still tough for some businesses who are still recovering from the recent recession. That’s why if you need repairs or security upgrades done to your locks you do not need to worry when you use us. we complete most jobs in under an hour, so the most your likely to pay during normal operating hours is £50 plus the price of the lock if needed.